One of the worst issues that can befall a rug is dry rot. Mould, mildew and dry rot describe the various types and stages of fungi that may be infecting your rug. Mould and mildew can sometimes be killed and removed without much evidence left on the rug – if you get to it relatively early. However, once a rug reaches the dry rot stage there is no way to reverse the process. And let’s not forget the health dangers that can come with mould sources in your home. Join Woods as we discuss this rug cleaning nightmare! Dry rot is the deterioration of the foundation fibres – usually cotton, wool, jute or silk. In the very worst cases of dry rot the rug can simply fall apart. And there is no fixing this! The issue with dry rot is that it is usually discovered too late to be effectively treated. Once mould root systems get into the inner foundation fibres it is almost impossible to remove. If the rug is stiff to touch or cracks when you slowly bend it, or if the rug sounds wooden if you knock on it, then dry rot has set in. Often dry rot comes due to flood, leaks, or high humidity with a lack of evaporation due to some kind of barrier. These barriers can include plastic mats used between an office chair and the rug. 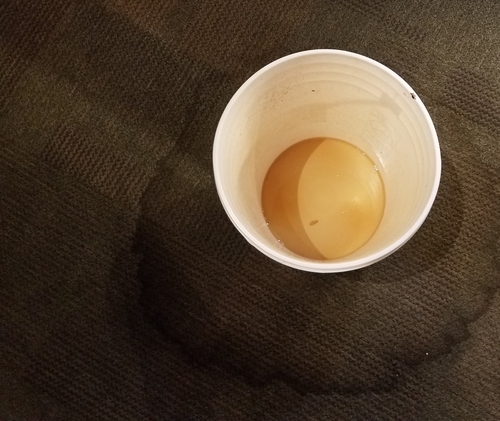 If there is any type of water source near a rug, you want to look for any evidence of issues. Potted plants, water coolers, pet water dishes, or any slab leaks over time. This contributes to the growth of mildew and will eventually lead to dry rot. It is best to keep your rugs well away from potted plants and other sources of water where possible, to prevent this damage and ensure you are not overwatering your houseplants. Damage can set in with age and/or the build-up of cleaning product residue from home rug cleaning attempts. Chemical residue occurs when rugs are not properly rinsed. High heat and direct sunlight conditions over time can also cause brittleness. Home rug cleaning products that use peroxide and bleaches that result in fibre deterioration. Consequently, this build-up of residue, combined with heat, can trigger the formation of mould and dry rot. Aggressive chemical use can dry out the foundation of your rug, causing it to become brittle and rot away – this is especially true of rugs that have a cotton weft foundation, one of the most common foundation fibres for woven rugs. If you have pets, you should always be on the lookout for pet urine damaged area. Pet urine activity over months and months will completely discolour rugs. The area will soon become brittle and stiff, indicating the cotton base is rotten. The skeleton of the rug essentially crumbles apart. Pet urine itself is difficult to reverse when rug cleaning. While the odour can be removed the stain is often permanent. It is important to work out why your pet is urinating on the rug to ensure this does not become a chronic issue. It is also important to remember that most times, the urine stain cannot be removed but the damaging elements of the urine can be neutralised. Finally, we need to discuss fringes and tassels. Tassels and fringes require an extremely gentle touch to ensure the delicate fibres are not damaged. However, even the most gentle cleaning efforts can be thwarted by a rug’s fringe. In the case of some old rugs, when past damage to the fringe was irreparable, a new prefabricated fringe can be found tacked over the top to hide the damage. Similarly, modern rugs that did not originally have a fringe can have a prefabricated one added. 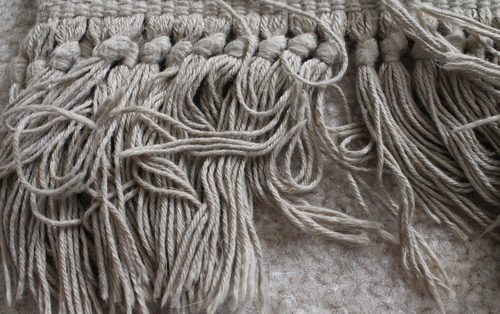 In these cases, where the new fringe is attached, the stitching is not as strong as the original weaving of the rug and can come away during washing. While this is helpful if you decide to remove the fringe in the future, it can be extremely unhelpful when it comes to cleaning. Keeping a rug’s fringe clean, however, is extremely important. The fringe or tassels are, essentially, the smile of the rug and just like with teeth a dirty fringe is apparent very quickly. They often discolour quickly and gather dust, especially in high traffic areas. A fringed or tasselled rug may need more cleaning than one without, due to the state of the threads. Keeping a fringed or tasselled rug out of heavily trafficked areas of the home is recommended. This prevents the build-up of dirt, discolouration and damage to the delicate fibres. It is important to get your rug washed by a professional, sooner rather than later, to prevent stains becoming impossible to remove. Contact Woods today if you are concerned you might have a mould or dry rot issue. 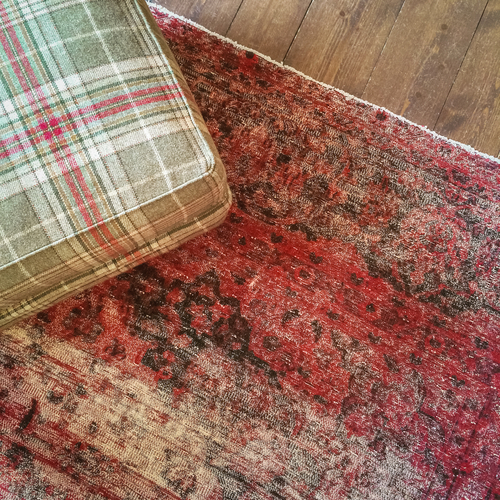 Bringing the WOW Factor – Top 5 Tips for Choosing a Rug! Synthetic Rugs – The Hidden Costs!